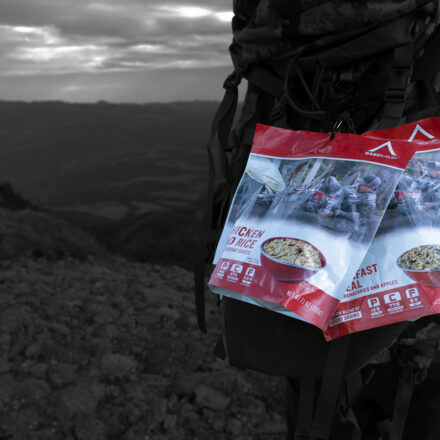 We've built a new food line for the back packing hunter or outdoor adventure minded person. We have designed the meals to taste better, clean up some ingredients and taste better. We have also innovated the bags by offering a 2nd tear notch so users can finish the meal without getting food all over their knuckles and sleeves. We also have built them to match your hike parameters. They can be stacked for maximum results on your trek. We also have brought a Quarter pad to the market that allows users to lay the harvested met on a Nylon Ripstop waterproof pad to keep from getting debris and dirt on the meat. Completely washable for reuse.